Have you heard? Texas Talking Pies is now open for business on Etsy, too! 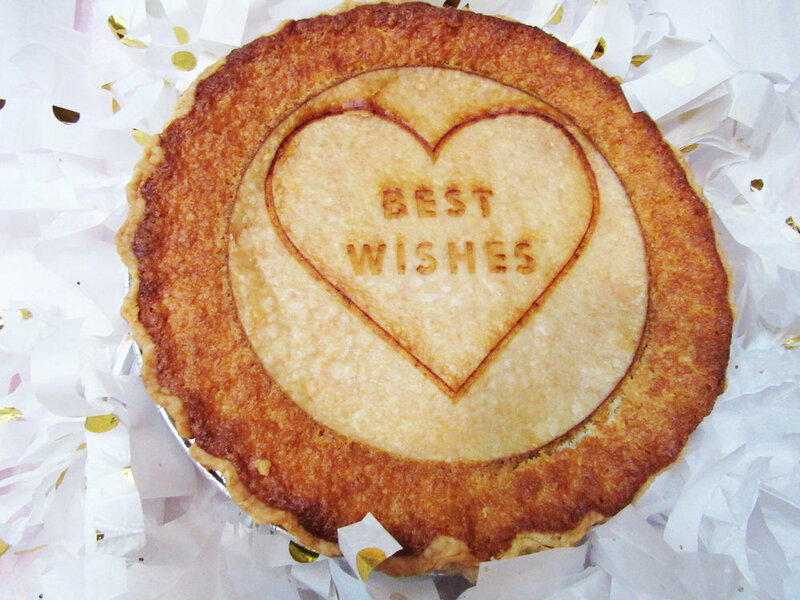 We have listed five messaged pies for a variety of occasions - and as always, they are fully customizable. Names, dates, images or logos can be added to delight your recipient (and $15 flat-rate shipping is here to delight you at checkout!). Our five specialty fillings are truly a treat you have to taste to believe. These pies are dense and rich; it's a luxury gift as charming as they come. Lookout for a "first bites" reaction video on our YouTube channel soon.